* This opulent Gold and White Satin Bridal Sash is 4" w and 108" long. 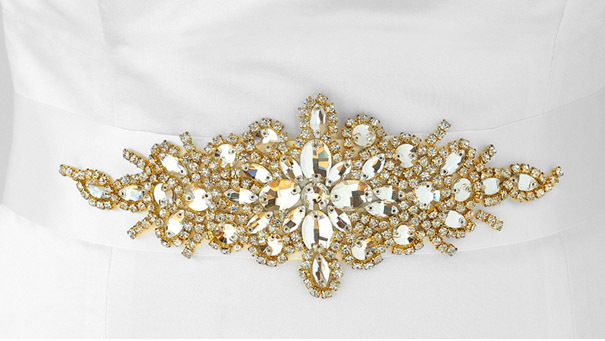 * The belt is embellished with a bold 9 1/2 w x 4" h hand-sewn Austrian Crystal starburst applique. * This satin sash is also available in Gold/Ivory, Silver/White and Silver/Ivory.